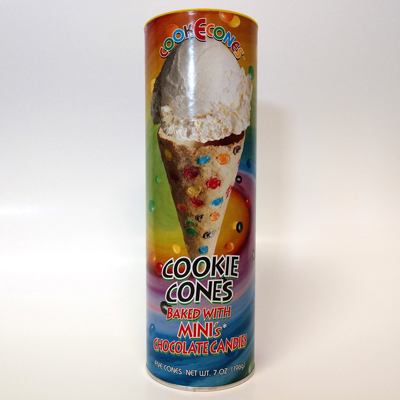 Gourmet chocolate chip cookie dough rolled into a cone and baked until just the right combination of a moist, yet crunchy cookie. 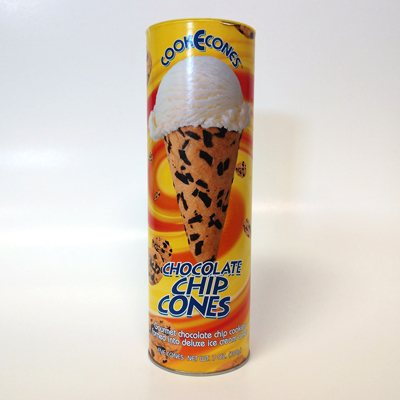 Each fun package contains 5 chocolate chip cones. Buy 5 of any combination for the price of 4! 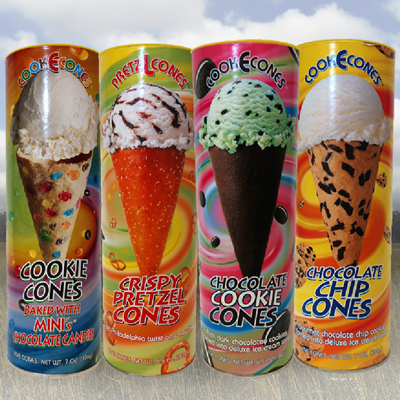 I love cone guys cones. My kids love them and the adults love them. 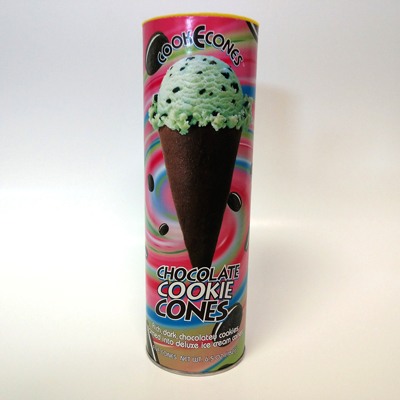 They are the best of both worlds, a cookie with your ice cream. 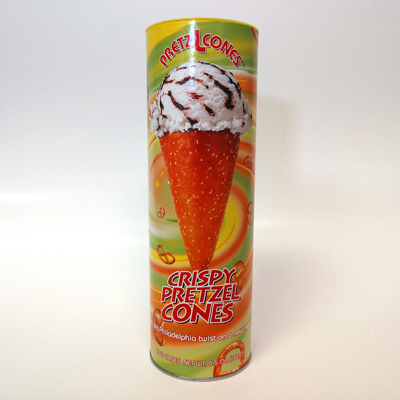 They are also thick and hold the melting ice cream without falling apart like the cake cones. LOVE!